The Denver-based band Tennis made up of husband and wife duo Patrick Riley and Alaina Moore, was born out of wanderlust. 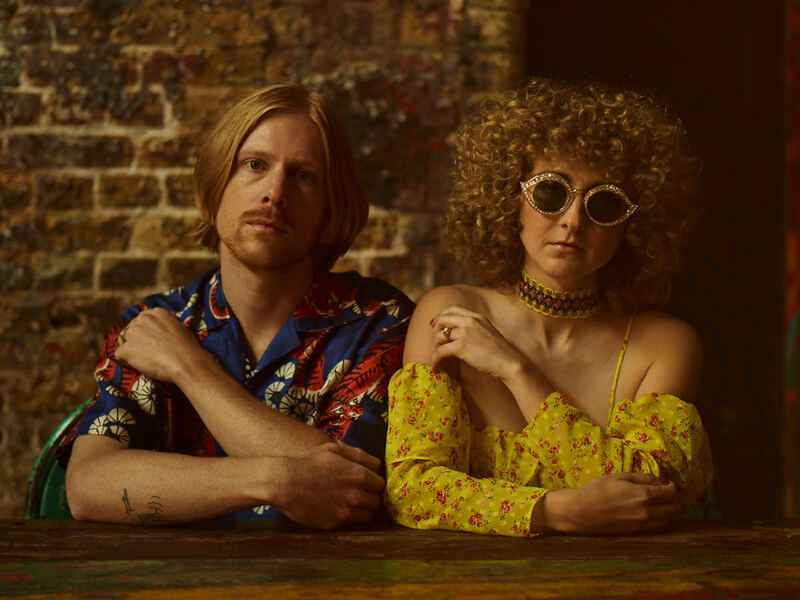 The couple wasn’t a band until taking an eye-opening sailing trip down the Atlantic coast in 2009, which spawned their 2011 debut record, Cape Dory. Their story and music remain romantic, but one’s constantly reminded that while they’re “in it together,” they’re also individuals. “You could have me for ten minutes; You could have me for ten years; I could lose you in the hours; I could lose you in tears, oh.” Alaina sings in one of the most intimate and melodic songs from the new album, “10 minutes 10 years”. During their London show, she said that when they were starting the band, no one really believed that they would last for longer than a couple of months. 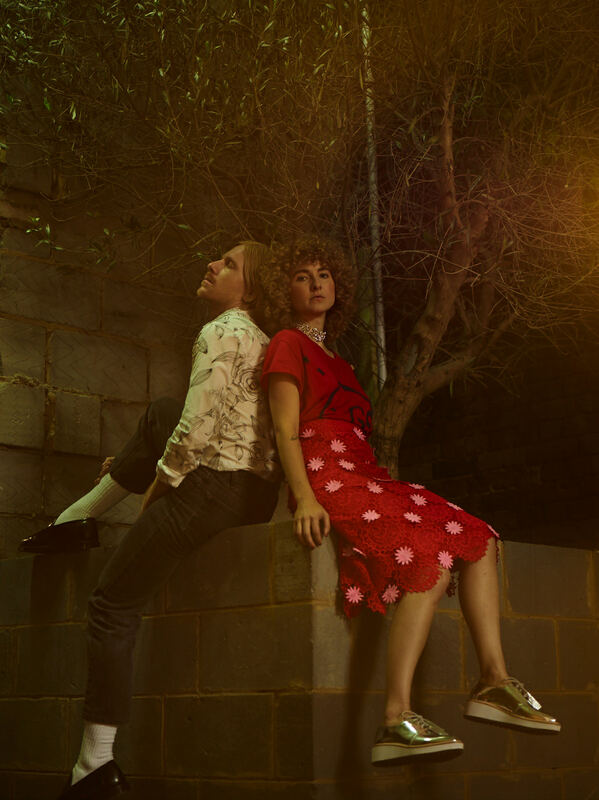 They ended up being a band for past seven years, and they’ve released four indie-pop albums, including the newest one, Yours Conditionally. The record is much softer than the previous and filled with sway early ’70s soul; it sees the couple wrestle with the conditions of love and commitment. We met the band at The Doodle Bar next to famous Borough Market in South London and chat sailing trips, influences and plans for the future. Patrick wears: Shirt Noose & Monkey. Alaina wears: Shirt Gucci, Skirt House of Holland. How did you guys meet? Also, what ultimately led to you two starting a band together? I heard that you both dropped out of music schools and hated making music for quite some time. Alaina Moore: Patrick and I met in our final year at university in an analytic philosophy class. We connected right away over our shared love of music. He burned a lot of mixes for me in those days, but we were music school dropouts and kind of over the whole thing. We didn’t see a future for ourselves in music. It wasn’t until years into our relationship that we thought of making music together. It was a natural exploration into a mutual interest. We had no goals with it and were completely surprised when we made something good and found an audience for our work. I heard that you guys love sailing! What’s the best sailing trip you have done so far? Alaina: The first sailing trip, which took us along the eastern seaboard and the Bahamas, was incredibly special. We were 22 and 23 and had no experience when we moved onto a 30-foot sailboat. Last year’s expedition to the Sea of Cortez was our most ambitious. We sailed 1500 hundred nautical miles in about five months. It was the wildest most demanding thing we’ve ever done. It was our first experience with multi-day offshore passages. I wasn’t sure I could handle it psychologically, but I found it very rewarding. There are a lot of parallels between voyaging and touring. How did “Fields of Blue” come about? Alaina: Patrick had written the music, some of which he recorded at anchor. I pulled lines from my ship’s log and sang it over the top. This is the hardest way to write a song — when Patrick writes the music without me, but I love the way it came out. Alaina: There are seasons for writing. When we are preparing for a release or on tour, I never want to write, and I feel no inspiration. The moment I get home from tour, I disappear into my head and allow writing to retake precedence. Patrick and I are very routine. We work mostly in the morning and try to write every day even if we don’t feel particularly motivated or pleased by what we’re doing. Alaina: If inspiration comes to me, I grab it. Usually, I just show up and work until I have something. Writing is much more about discipline over time than inspiration. Given that Yours Conditionally is your fourth album, how would you say that you have evolved as a songwriter? Alaina: I finally have a sense of my voice. I didn’t have that when we first started out. I needed to put in years of work to develop a catalogue that I now use for perspective. I can look back at what I’ve done and see what used to work for me and what didn’t. How does this dynamic work when your partner is also the second half of your project and career? Do you think that your profound intimacy may complicate the process of explaining new song ideas? Alaina: It absolutely does. Fortunately, our writing process has evolved to a point where we have a lot of autonomy. Patrick composes as a producer would. He doesn’t write songs; he creates sounds and moods. He’s an engineer. Because I sing and write lyrics I’m always thinking about melody as a narrative thread the gives a song coherence and movement. So we work separately, each with our own goals and combine our work in the final stages of writing. This prevents stagnation and a lot of arguments in the studio. Patrick wears: Shirt Reclaimed Vintage, Suit ASOS. Alaina wears: Blazer Vivienne Westwood, Trousers ASOS. If you could have dinner with anyone either alive or dead, who would you choose and what would you eat? Alaina: George Eliot — she’s my favourite author, and I have a profound respect for her commitment to art and self-discovery. She created a legacy for herself in an era that not only made it difficult for women to write but punished them for deviating from social norms. I wouldn’t eat anything; I’d be too distracted. But I would have a drink to calm my nerves. I love the song “Ladies Don’t Play Guitar”. Can you tell me how this song came about? Alaina: I wrote the lyrics in my little journal while we were on tour but never dreamed of putting them to music. When we were ready to work on Yours Conditionally, I started with those lyrics because they felt like a statement as a woman. I wanted to be more assertive and intimate with my writing.” Ladies Don’t Play Guitar” was my entry point. What’s your favourite song you have ever written and why? Alaina: I don’t think I have one. I’m always really excited about each song as I finish it, then I move on. Alaina, how do you try to fight the objectification of women in the music industry? Alaina: I can resist in small ways, like refusing to be consumed with my appearance. Since we started the band, it’s been a constant negotiation. I don’t wear much makeup. I don’t like wearing heels. Why have an elaborate beauty routine when I could spend those hours in a day writing a song? I try not to obsess over things men don’t have to care about. The other way to resist this industry’s portrayal of women is by being knowledgeable and competent – by refusing to be reduced to my looks. I can undermine harmful stereotypes of women in music by not upholding them. What’s something that people would be surprised to know about you? Alaina: Despite living on a boat and spending months at sea, I couldn’t swim until last year and am terrified of being in the water. What advice do you have for an indie musician trying to make it in today’s industry? Alaina: Don’t wait for anyone to open any doors for you. There’s no secret formula for success. I’ve seen incredible bands get signed to their dream labels only to get dropped and have to rebuild their careers from scratch. Just stay focused and do the work. Write and play shows and meet people and ask questions. It’s important to be willing to make music for the sake of it. That’s what will help you while you’re struggling, and compel you to become your best. What’s you first music memory? Alaina: I was first exposed to music in church and my time singing was in church. Hymns and gospel music still really connect with me. Music is sacred. Alaina: More touring, more writing. We’re in it for a while during this album cycle. I’m so proud of what we’ve made, and self-releasing has given us the freedom to promote this album in a way that fits our lives. 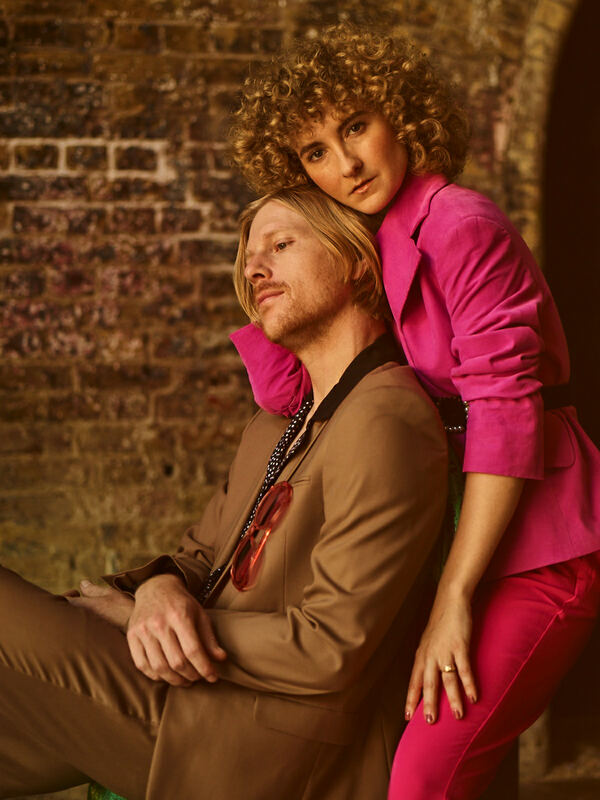 Stream their latest album, Yours Conditionally below, and follow them on tour via their Instagram @tennisinc.